May 2012 – Not Your Average, Random Blog! Perseverance is a vital skill that we all need to master in order to be successful in this world. 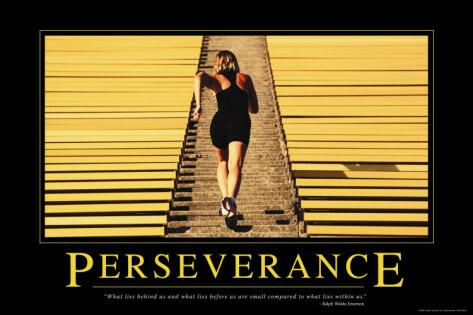 Perseverance is defined as the continued effort to do or achieve something despite difficulties, failure, or opposition. Trials and tribulations rise up in each of our lives faster than a helium filled balloon disappears into the atmosphere once a toddler slightly relaxes his or her grip on the balloon’s string. Trials come in all forms, economic hardships, lost jobs, health issues, etc. However, no matter what we face in life we should always do all we can to persevere! When life’s currents try to sweep you underneath start kicking as hard as you can, for as long as you can, until you find yourself swimming in calmer waters! For some odd reason I decided to open a random cupboard in my kitchen. Of course I decided to take great precaution and open the cupboard at a sloth-like speed, in case there was a rabid, vile furry rodent or man eating hybrid raccoon/saber-toothed tiger creature waiting to pounce on me. I immediately saw two potatoes inside a plastic bag on the bottom shelf. I had no idea when I purchased those potatoes or how long they have taken up residence in my kitchen without reimbursing me monthly for rent. Naturally, the potatoes lost nutrients, which were diverted to growing sprouts. The starch found in the potatoes converted to sugars and a toxic chemical called solanine concentrates in the sprouts. I began to think what do we do when situations in our lives don’t work out exactly how we may have desired, planned or imagined? Allow me to apologize in advance for this analogy (I’m kind of a sport’s guy). Life is full of false starts penalties, fouls, offside calls, first serve fault calls, double bogeys, icing calls and traveling violations which are all designed to challenge your willpower to become victorious during the game of life. We need to find a way to make the most of any situation we find ourselves in. Attacking an unfavorable situation with the right mindset and attitude can help to stabilize situations that we may have interpreted as nose-diving out of control. Having the right state of mind or thought process can lead one to create key lime pie from a bushel of limes! The term culture can be defined as the integrated pattern of human behavior that includes thought, speech, action, and artifacts and depends upon the human capacity for learning and transmitting knowledge to succeeding generations. My definition of culture is greatly influenced by the place where I grew up. It consists of a culture where the people have a laid back attitude that is as cool as the ocean zephyr that travels from the crystal clear aquamarine waters along the golden sandy beaches. These people demonstrate an immeasurable hospitality and kindness towards others even if they are total strangers. Culture consists of sultry and mouthwatering Sunday afternoon dinners immediately following a church service comprised of peas ‘n’ rice, macaroni, grouper fingers, minced lobster, plantains, and guava duff for desert. Culture entails traditions like “Junkanoo” (if you haven’t seen it in person; you should) a celebration held on New Years and the day after Christmas (Boxing Day). These celebrations combine pulsating music, costumes designed from an explosion of riveting colors, and dance to form a masterpiece that rivals that of Michelangelo’s painting of the 16th chapel or the Mona Lisa. This is just a mere snapshot of the culture of a people proud of their heritage, The Bahamian People. We live in a globalized world. We encounter individuals from different cultures every day of our lives. When given the opportunity immerse yourself in a different culture. Take on sponge-like properties and soak up as much knowledge as you can! An avid understanding of an individual’s culture can help your cherry tree of life blossom with new relationships! Have you ever been really excited to receive a gift, package in the mail etc., that didn’t live up to its billing once you had it? I went on a search and destroy mission via Ebay (possibly the greatest auction site ever) to find a pair of Jordan Retro 11 black n white concords (commonly known among sneakerheads as “spacejams”) in a size thirteen. I won the auction and excitement consumed me like a white blood cell engulfs intruding bacteria. The day the package arrived at my doorstep I tore into that box with a child-like exuberance. Within 0.4539 seconds I found myself experiencing a combination of shock, disgust, and bamboozlement. The item in question was not authentic Jordans but cheap knock offs. The item I received was a far cry from the item that was listed on EBay. How often do we experience this in our daily lives? On the outside an individual may advertise him or herself as having everything under control, but on the inside that person may be crying for help. Some people may try to highlight their affluence by buying an expensive home in a suburban neighborhood; however they can’t afford to furnish the inside of the house. A person may claim to be religious yet he or she isn’t living the life that supports those assertions. Let me ask, “Are you living up to the description you are using to advertise yourself to others? Ensure the manner in which you portray yourself is closely aligned with who you are. 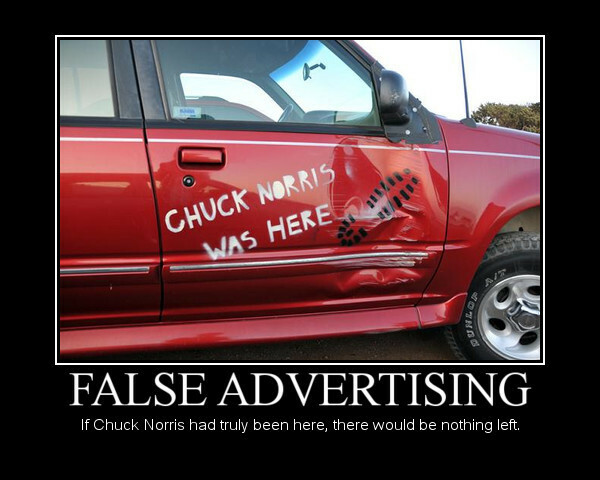 Don’t False Advertise! Loving, caring, patient, nurturing, wise, inspiring, thoughtful, etc. are just a tiny morsel of the superfluity of words often used to describe a mother. A mother can be defined as a female parent or a woman having or regarded as having the status, function, or authority of a female parent. A mother’s worth should never be understated or devalued! The source of a mother’s energy has always and will continue to leave me dangling in a state of befuddlement. Moms cook, clean, act as a personal chauffeur, work a full time job, nurse wounds, teach, council, and emit an inexhaustible love towards their kids. They do all this immediately after they selflessly carried us inside their womb for nine arduous months, while taking on weight, and possibly feeling that they aren’t as beautiful as a result of their priceless sacrifice. My mother is the definition of inspiring. She would travel to unknown galaxies to find a space rock if that meant her kids were happy. She taught me, cared for me, and played a great role in the man I am today. Failed kidneys and mandatory four hour long dialysis visits (three times a week at umpteen hours in the morning) could not bring her to complain one time about her situation. Don’t allow yourself to come down with a case of FMD (Forgetting Mother’s Day)! If you are capable I implore you to do something nice for the Super Mom in your life! Happy Mother’s Day to all the ladies who have chosen to perform the role of a Mother! A VERY SPECIAL Happy Mother’s Day to Mi Madre all the way in the Bahamas! 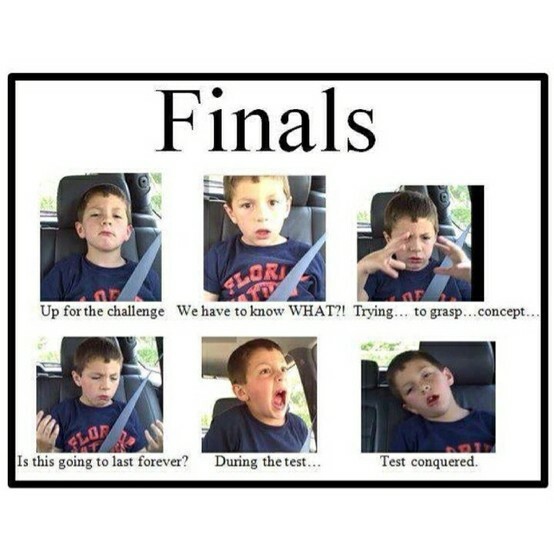 This week serves as the dreaded “finals week” for a large clump of college students (including myself). As I was sitting in a room quiet enough to hear a dog whistle if it was blown, I pondered “What is the importance of a test?” A test is usually defined as a series of questions, problems, or physical responses designed to determine knowledge, intelligence, or ability. It has always amazed me how a test can evoke behaviors that differ from person to person. A test can set one’s bodily functions in a frenzy via nervous twitching and sweating. A test can cause one’s heart to pound at a force equal to that of a Muhammad Ali right hook (when he was in his prime). A test can have a similar effect as a high frequency magnet on a hard drive and wipe one’s mind clean of the data they entered through studying. In life we face tests that come our way in many forms. A test may come in the form of an annoying coworker, financial problems, life challenges, obstacles, hardships, etc. There is no manual that contains the correct answers to life’s tests. These tests present themselves to actuate our knowledge, intelligence and ability when faced with difficult decisions. We will always encounter various tests as we white water raft down the rapids of life! When your life test presents itself, will you start to sweat and draw a blank? Or will you ace that test and become more mature, refined, and stronger than you were before? CHOOSE! How often do we find ourselves in a similar position? The coin may be a representation of a paycheck and you may wonder how you spent it so fast. That coin may be your position or status in society or a job? One day you are standing on top of the world and the next day you are fighting to avoid getting crushed by it. Or maybe the coin signifies a relationship (friend, significant other, etc.) you may be holding on to when you know that you should let go and trust that you’ll be better off when you land. 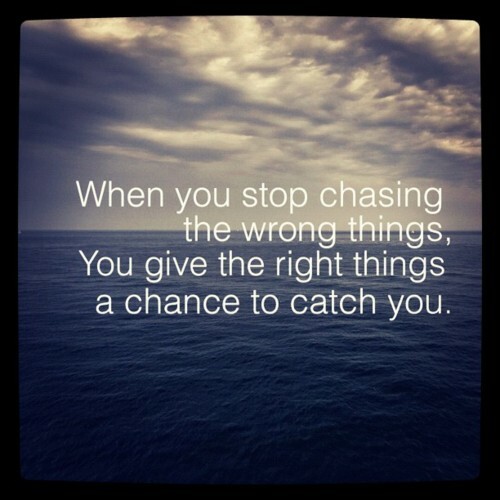 Ensure that you are chasing what’s worth catching, searching for what’s worth finding, and holding on to the things worth keeping!